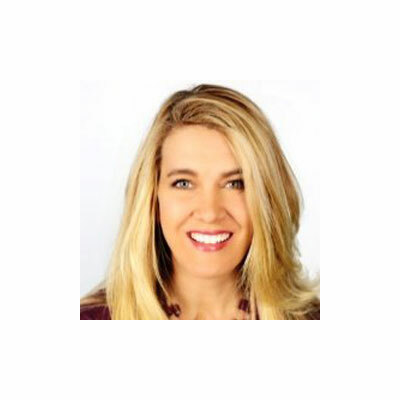 A results-driven, resourceful professional in operations, business development, sales, marketing, channel alliance & strategy, Joy Verplank has more than 18 years of software industry and channel partner programs expertise. In her role as Senior Director of Channels - Americas, Verplank focuses on recruiting, training and collaborating with partners to identify business initiatives and add strategic value to not only channel partners but also Epicor and Epicor customers in the Americas. Prior to joining Epicor, Verplank ran the Channel Partner/Alliance Program Cincom and as well as a number of software organizations specializing in Microsoft Dynamics environments across the High Tech, Manufacturing, Aerospace and Defense, and Professional Services Industries. Verplank holds a bachelor's degree in Sociology from the University of Colorado, Colorado Springs. In her short tenure at Epicor, Verplank has worked in lock step with Epicor Americas Sales and Channel Leader Lisa Pope to restructure the Americas channel partner program, adding dedicated channel resources to support lead generation and foster partner growth. The revamp also resulted in simplified terms of engagement to ensure the program remained compelling for current and future partners. Further efforts around partner alignment with the Epicor cloud-first approach has resulted in significant growth in net-new cloud deals year-over-year. Additional focused initiatives include: • Roll out of a new sales training and enablement program. • Addition of new dedicated channel territory managers to provide partners with single point of contact to assist with deals and opportunities. • Working closely with the Channel Marketing to continually grow awareness of the Epicor name and offerings through partners. • Continue to foster existing and new relationships with partners and influencers in order to capitalize on the strengths of all parties involved. • Drive customer engagement efforts to drive additional add-on and upgrade business from Epicor install base and support increased adoption of Epicor Cloud and Software-as-a-Service solutions. • Increase percentage of channel business in the U.S., Canada and Latin America. Bring on new resources in areas such as training and sales enablement to strengthen channel partner support, while bolstering recruiting efforts for partners with deep industry expertise and those that are geographically-focused. • Drive services and support transformation with implementation accelerators to drive customer success. While Verplank is fairly new to Epicor (having been in the role for only 6 months), she has a solid track record and reputation of being a proven performer, having been recognized with several awards and accolades. These include being named the highest sales representative of the quarter for three consecutive quarters at Compaq, being awarded the Going the Extra Mile award for putting in place a deal registration program for the partner organization at Autodesk, and being named to the President's Club in her first year at PTC. Verplank is a great admirer of Gavriella Schuster, corporate vice president of Commercial Partner Channels & Programs for Microsoft, particularly for her mentorship of women in leadership and her philosophy on success both at work and at home. Verplank would tell her younger self to never be afraid to ask questions. As she's progressed in her career, she has recognized the importance of asking questions as a leader. It's important to ask the questions others might be afraid to ask because the answers are often unknown by many and are key to future development and success. Verplank is always looking to improve her knowledge and proficiency in the digital transformation movement - and related enabling technologies such as the Internet of Things and the cloud to further her career and empower crucial collaboration with the tech community ecosystem. Verplank really enjoyed the book "The Revised Fundamentals of Caregiving," which follows Ben, a retired writer who becomes a caregiver after suffering a personal tragedy, and Trevor, a foul-mouthed 18-year-old special needs child -- one character paralyzed emotionally, and one paralyzed physically. The book follows their experiences as they embark on an impromptu road trip to a random list of odd places Trevor has become obsessed with. Verplank liked this book because it allowed her to see the characters engage on a deeper level emotionally and establish a real connection - something she aspires to do in all her relationships.